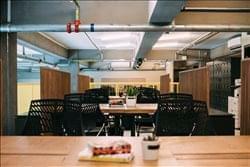 Find My Workspace lists over 95% of the serviced offices & coworking space market in Sai Wan. Simply click Request Quote to check pricing for one office, or Add to Basket for multiple offices. Situated just a few minutes’ walk from Sai Ying Pun MTR station, this converted warehouse offers co-working, dedicated desk and private office options. With 24/7 access, prices are all-inclusive of internet, meeting room use, printing, cleaning, tea & coffee, light snacks, beer & soft drinks, phone answering and mail-handling. This building also features on-site F&B, and a large split level event space. To obtain information for your selected Sai Wan Serviced Offices & Coworking Space, please tick the "Add to basket" box for each office you prefer and complete the form below. We will then send a detailed report via email.